Colly D catches up with Paul Humphrey’s from OMD to discuss their new album launch of the “Punishment Of Luxury’ on 1st September, their 13th studio album. 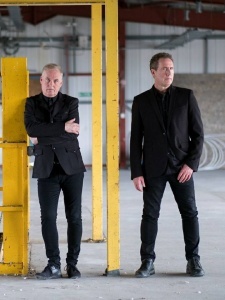 It was written, recorded, produced and mixed by OMD (Andy McCluskey and Paul Humphreys) and follow up to the critically acclaimed ‘English Electric’ released in 2013. The new album takes its name from an 1891 painting by the Italian Giovani Segantini. Another track named after a painting, this time one from 1915 of First World War machine-gunners by the British Futurist Christopher Nevinson that Andy came across in the Imperial War Museum, they patch together a military rhythm from cannon fire and rifle shots. This was shortly followed by first single ‘Isotype’ end of May. 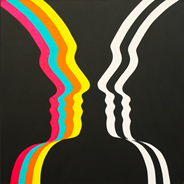 Boasting an infectious synth line and soaring melody ‘Isotype’ sees the band address the issues of communication and technology within the 21st century. Having played a triumphant sold out show at the Royal Albert Hall in May last year, OMD head back out on the road again this autumn for a string of must-see shows as detailed below.